1. 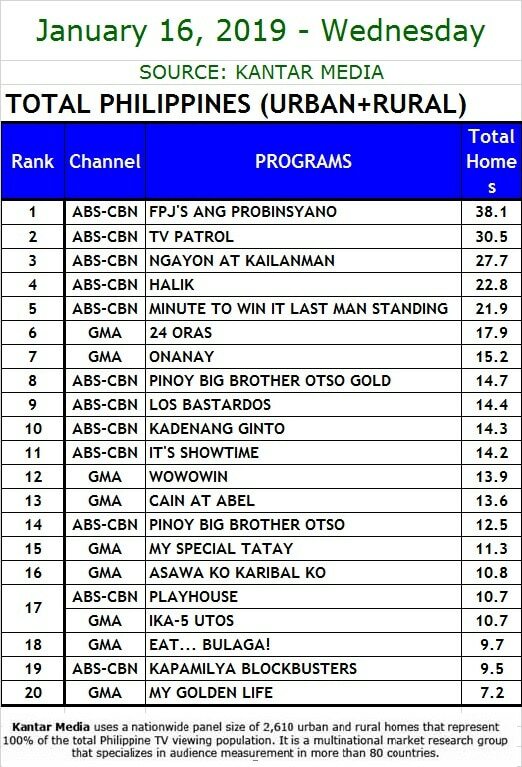 “FPJ’s Ang Probinsyano” remained unbeaten with a national TV rating of 39.5% last Thursday (Jan 17) versus “Cain at Abel” (13.9%). 2. 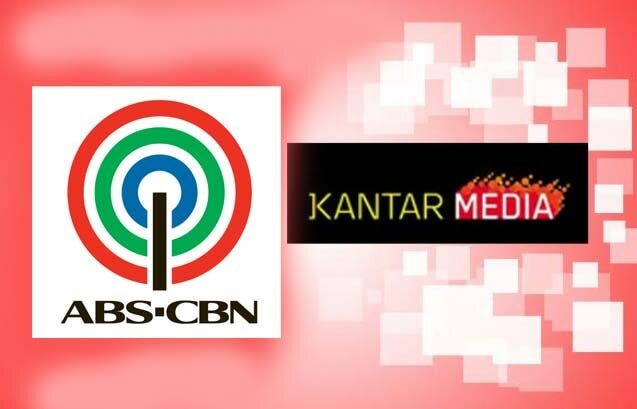 “Ngayon at Kailanman” continued to draw more viewers in its finale week with a national TV rating of 32.9% last Thursday (Jan 17), compared to “Onanay” (15.9%). 3. “Halik” won its timeslot with a national TV rating of 24.8% last Thursday (Jan 17), while “My Golden Life” only got 8.5%. 4. 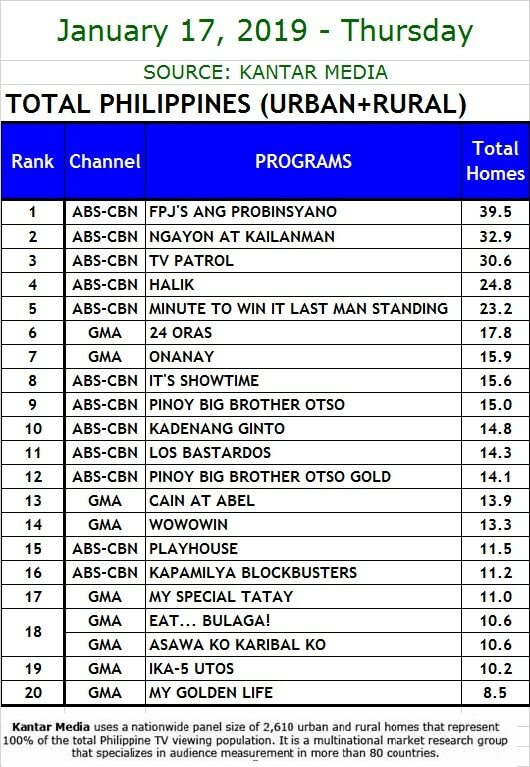 “Minute to Win It” scored 23.2% last Thursday (Jan 17), beating “Wowowin” (13.3%).